I remember that I had got on his lap and played. I received from Onisaburo Deguchi the revelation to convert the water. In 1990, when I was sleeping, the consciousness of three gods entered the body with a great sound and shock, and contact with complete cosmos began from that moment. Then I was given power to pour cosmic energy into the water, everything on the earth, from Onisaburo Deguchi. “The water changes to “cosmic energy water” by pouring cosmic energy with consciousness and returns to the source water. “The earth faces the destruction. From now on, the sea becomes dirty, and water is polluted and cannot eat the fish. The soil is polluted, a tree or water polluted by the medicine are used to make the goods. 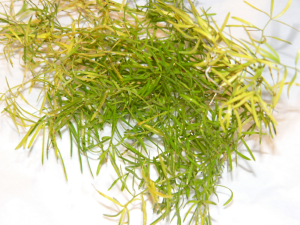 It is used for persons or animals, and cannot eat the meat, too. 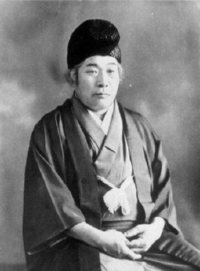 Onisaburo Deguchi(Link to Wikipedia)is said to have contacted to cosmos and to have dictated it. ※I have permission of Yasuaki Deguchi about the publication in the past. 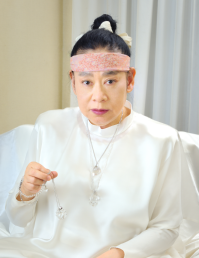 Midunokai supplements that it has nothing to do with the activity of the Oomoto religion. Until then, I had been continuing refusing existence of cosmos God that I have been feeling in my mind, but it became a big turning point. So far, I throw away that I was living as a human being, I will live as a messenger from cosmos. I was forced to choose, felt big embarrassment, and big uneasiness and responsibility crossed. My parents were devoted believers of the Oomoto religion, but myself do not belong to religion. But, strangely I obtained hair of Onisaburo Deguchi which went around many places, and I am continuing to have it till now. Being led, I was made to walk the all place that Onisaburo Deguchi spent from birth till death. Seen from cosmos, there is not the denomination. The reason is that it is made to match the country, words, a form. Cosmos God is with each one if you continue having a pure heart of childhood. you can catch words to be poured from cosmos, and can get power from the natural world.